If brown spots are blooming where once was lush grass, it may be time to grab a bag of seed and go to town on your patch of land that surrounds your happy home. When it comes time to put a bit of extra green into your lawn, there are a few things to know before you begin the process of overseeding a lawn. If you aren't careful, you can create bigger problems than the brown spots or divots that may currently pepper your lawn. It may seem like an oxymoron. 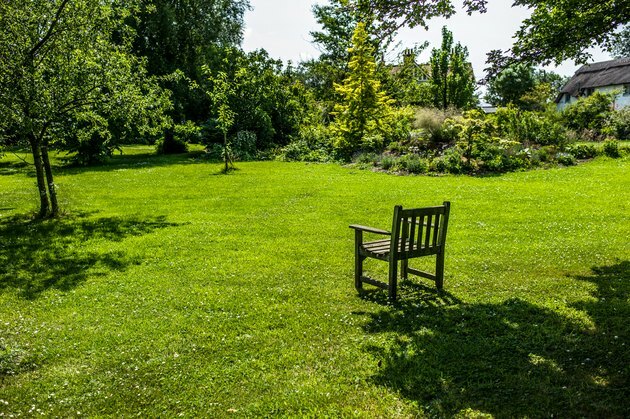 When it comes time to bring up or bring back the green in your expanse of lawn, spreading more than enough seed can quickly improve the look of your lawn. It is one of the first lines of defense for landscapers looking to improve the quality of the grasses of which they are in control. Not all grasses are equal. Grasses that benefit from overseeding include fine and tall fescue, as well as annual and perennial ryegrass. Bluegrass can also benefit from overseeding depending on the conditions. These are the types of grasses that are used in most yards across the country. Bermudagrass is also a cool season variety of grass that takes well to overseeding in the fall. Most of the grasses that do well with overseeding are cool season varieties. They grow in bunches. When you see the first soft green tendril poking up after the lawn is germinated, that means the grass crown is being created. The roots grow down from that one blade and more blades sprout up from the crown growing underground. Done correctly, overseeding will create a carpet of grass bunches for a lush looking lawn. When the right time is paired with the best type of grass, you will have a good chance of creating a long-lasting, lush lawn. Check the manufacturer's suggestions for the seed you have chosen, otherwise expect to overseed in the spring and mid-fall. When choosing the seed, consider what the lawn needs to do for you. If you have pets or intend the grass to put up with a lot of traffic from little feet, you'll want a grass that will grow well under those conditions. Remove dead grass and work the soil over with a tiller to get the seed a jump start in its germination process. Use a rotary to spread the seed from north to south, then east to west over the entire expanse of the lawn. For lawns about 1,000 square feet, use 2 to 4 pounds of seed. For yards that have large dirt patches, double that amount per 1,000 square feet. If the yard is truly thin and poorly, bump that up to 8 to 12 pounds per 1,000 square feet.